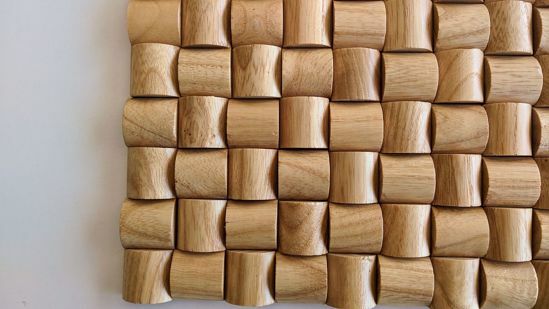 Mosaic Wall Art - Leste Ash. 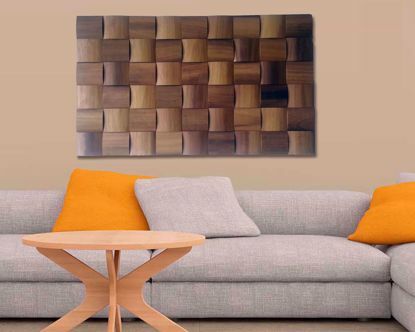 3D Wall Art as a Rustic Home Decor. 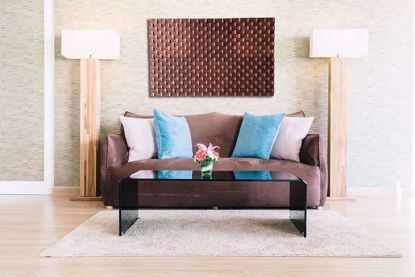 Abstract Wall Decor made from Mosaic Tiles. An Original Artwork for You. 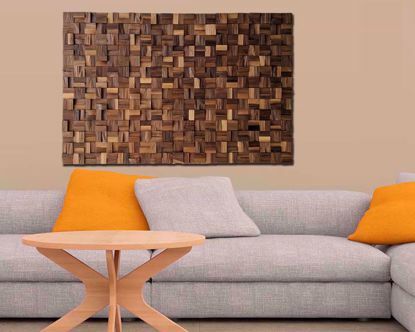 The Leste Ash (36"x24") is made up of 1350 separate pieces of wood. Every piece is approximately 0.8" x 0.8". The thickness of the pieces varies from 0.2" to 0.4". The type of wood is Ash. 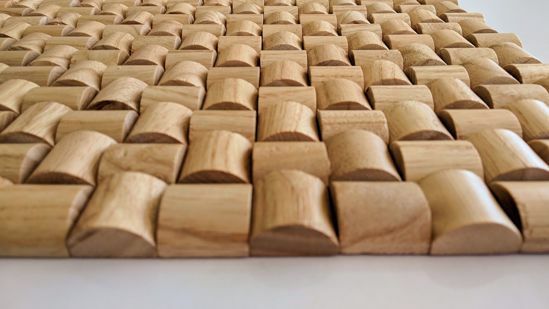 They are glued together on an MDF panel. There is no dye and stain involved. You see the natural colors of wood. Wood has been finished with natural wax. 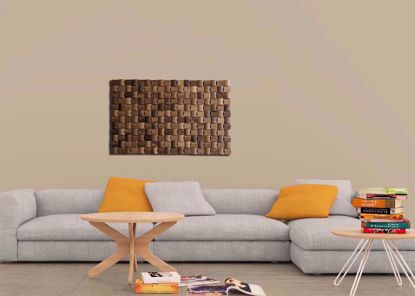 Mosaic Wall Art - Leste Iroko. 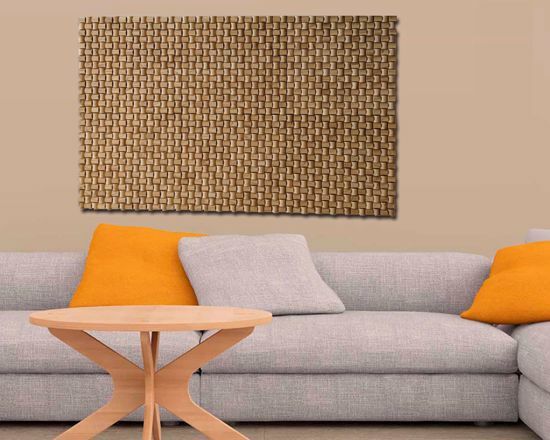 3D Wall Art as a Rustic Home Decor. 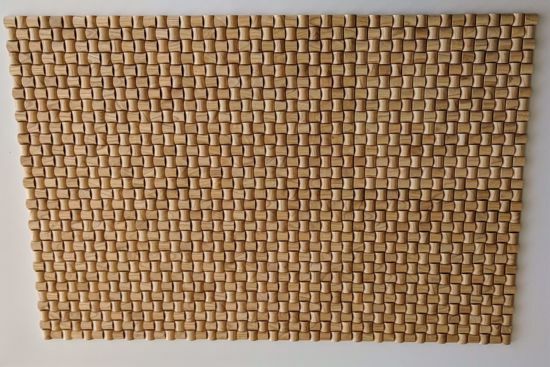 Abstract Wall Decor made from Mosaic Tiles. Mosaic Wall Art - Natural USA Walnut. 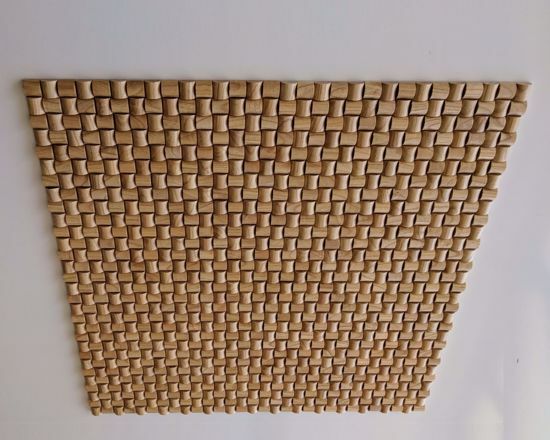 3D Wall Art as a Rustic Home Decor. Abstract Wall Decor made from Mosaic Tiles. 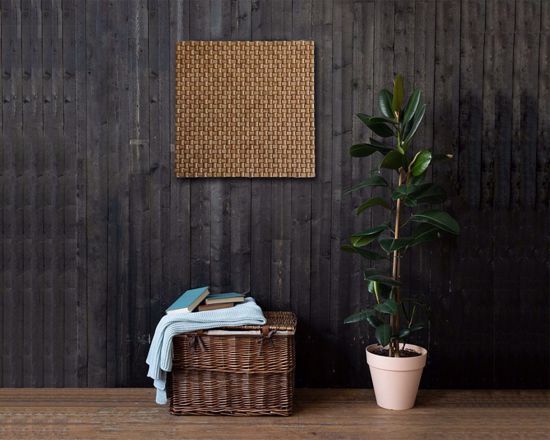 Mosaic Wall Art - Rustic Thermowood Mix. 3D Wall Art as a Rustic Home Decor. Abstract Wall Decor made from Mosaic Tiles.